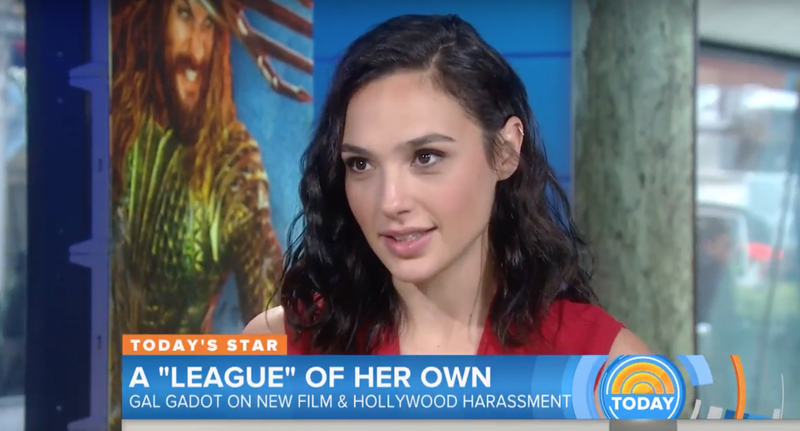 On Saturday, Page Six reported that Wonder Woman star Gal Gadot was refusing to sign on to the sequel unless Warner Bros. ended its co-financing deal with Brett Ratner’s production company RatPac-Dune Entertainment. Ratner stands accused of sexual misconduct by actresses Olivia Munn, Jamie Ray Newman, and Natasha Henstridge, among others. Last week, Ellen Paige said that Ratner verbally abused her and outed her on set when she was 18 years old. Earlier this month, Warner Bros. and Ratner parted ways in a manner that sure did look as if the production company did the dumping. You can watch the clip of Gadot’s Today interview below.